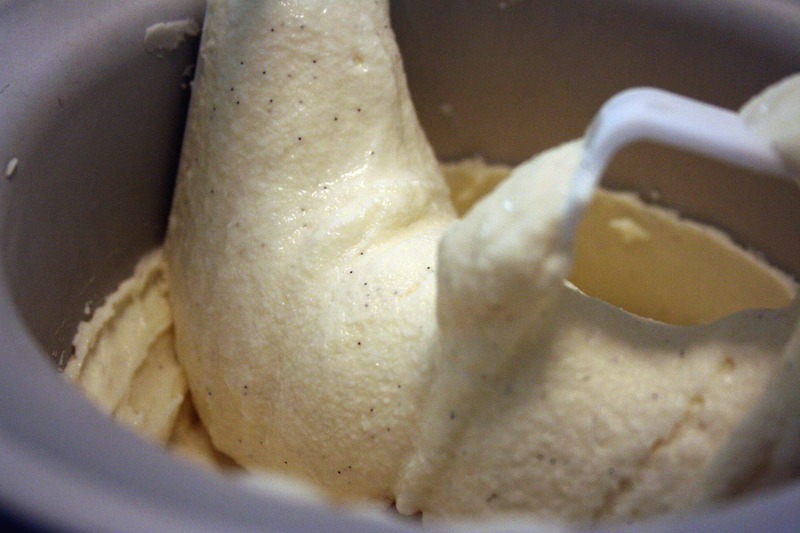 I broke out my old ice cream maker today – dusted it off and placed the canister in the freezer to chill out for 24 hours. 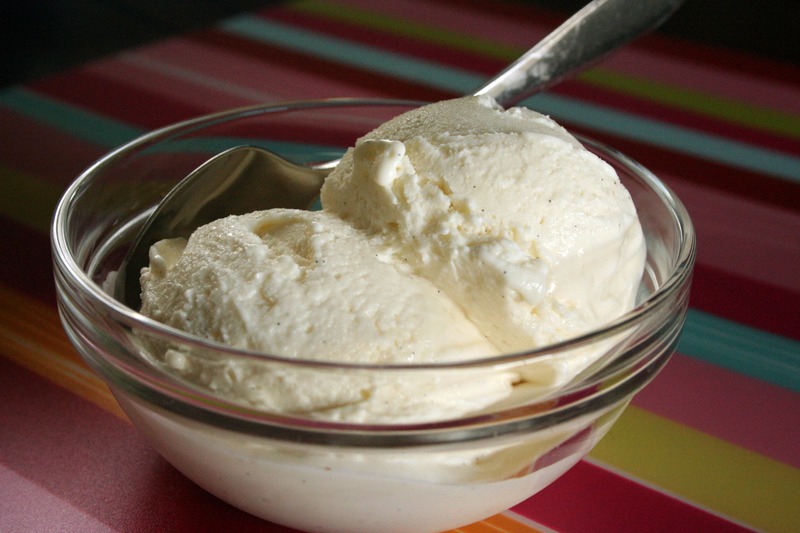 I decided that it is the summer of homemade ice creams, frozen yogurt, popsicle and sorbet! Tastespotting.com is always a huge inspiration to me – I love the photography and am immediately drawn in. 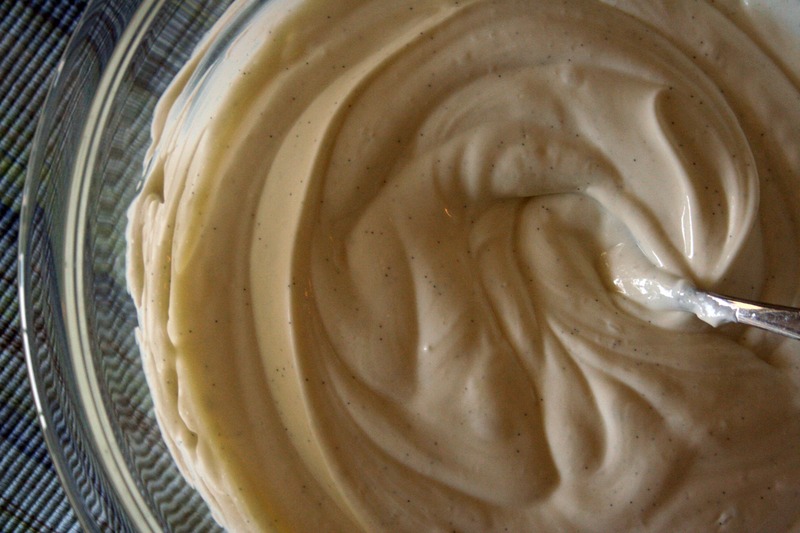 While looking at fro-yo recipes, I came across two that seemed easy enough. I took parts of the two and combined them in a way that seemed good to me. This is the start of something tasty this summer – I can’t wait to try more, and it was so easy! Verdict: Rich, sweet and tangy – it’s so good! Hopefully the family likes it, or else I’ll have to eat this all by myself and I’ll never have a good excuse to make it again…Thanks for reading, enjoy! Blend all ingredients well until sugar is dissolved. Place mixture in the fridge to chill for at least one hour. Once this step is complete, pour into your ice cream maker and follow manufacturer’s directions. 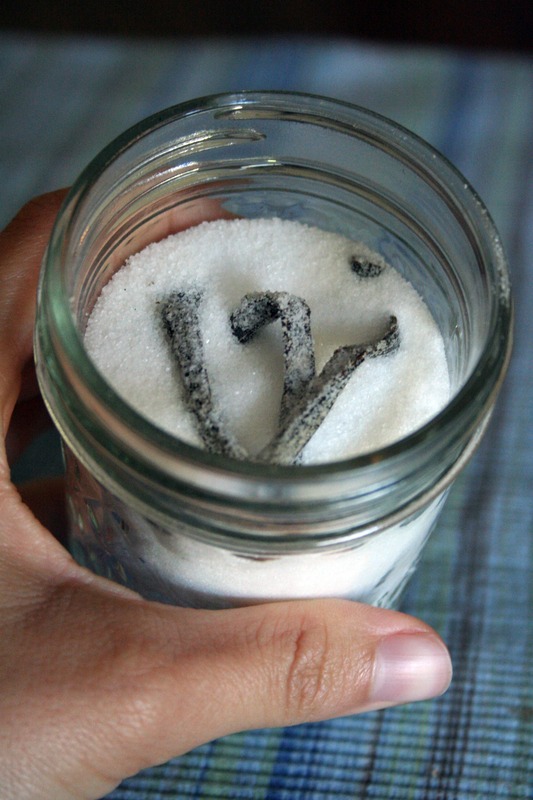 Pour sugar into your glass container and stuff your vanilla pod inside. The sugar can them be stored indefinitely, replenished with fresh sugar or additional vanilla beans as necessary to make more.